Back when I was a preteen, I started babysitting by watching my younger cousins so my aunt and uncle could enjoy a few much-needed date nights. Eventually, I became hopeful for regular work and I took a shot in the dark, making some flyers about my babysitting service and putting them in neighbors’ mailboxes. Honestly, I didn’t expect anyone to call, but one family did, and I got a pretty sweet gig watching a 3-year-old girl every weekday morning over the summer. Like with any job, it can be intimidating to get started with little or no experience, but everyone has to start somewhere. You’ve got this! Take these steps to break into babysitting and start building your business. Aspiring babysitters who are minors should always first get their parents’ approval before pursuing a babysitting job. Next, you’ll need to get some training and/or experience that not only preps you to care for children but also makes you more hirable. A good place to start is to take a course in babysitting basics. 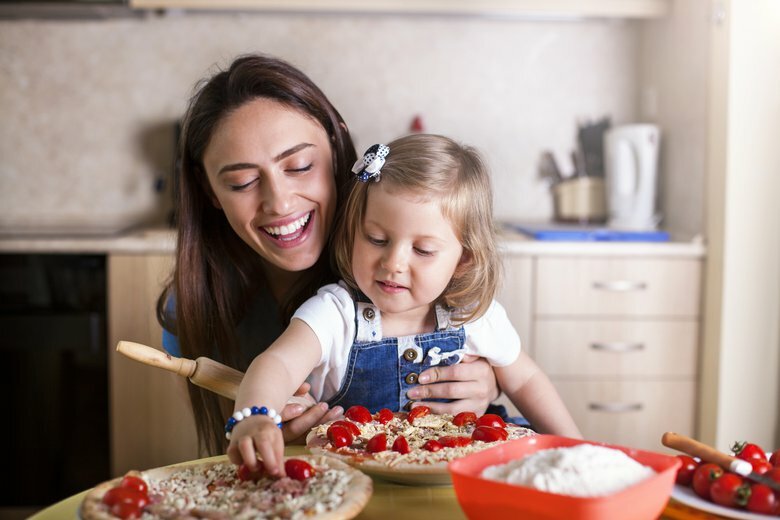 Introductory babysitting courses are often geared toward ages 11 and older and can also help prep tweens and teens for staying home alone or looking after younger siblings. The American Red Cross offers classes in babysitting and childcare across the country — and also online — that cover the basics of caring for kids. You can also check with local organizations like churches or health care organizations, who often host babysitting classes. In addition, it’s prudent to take a Red Cross Adult and Pediatric First Aid/CPR/AED course, says Elizabeth Malson, president of Amslee Institute in Sarasota, Florida. “Every babysitter should absolutely have first aid and CPR training in case of emergency,” she says. The best place to get prepared for a babysitting job is to get on-the-ground experience. Ask friends and family members if you can watch their kids. You don’t have to have had a paid gig to have experience to put on your babysitter resume. You can watch younger siblings for your parents or sit your cousins for free, like I did. Start by caring for them while the adults run errands, then work your way up to short date nights. Once they feel comfortable leaving you with the little ones for longer periods of time, ask for a small payment, or keep doing it pro bono for the resume boost. Working with a group of kids is another way to gain the hands-on experience parents desire. Local YMCAs, church nurseries or youth groups, camps and after-school programs may be good places to start, says Malson. Remember that volunteer work counts as experience, too. Many programs offer child care training, as well, which can impress future babysitting clients. In fact, tween and early teen babysitters shouldn’t look beyond their own networks at all, due to the safety concerns of reaching out to strangers, says Hoekstra. You can call family members and knock on neighbors’ doors to tell them about your services. Know that they will ask how much you charge, so be prepared to tell them a set rate, says Ellison. Do a little research by asking around, since the average rate varies largely by area. You can also check average local rates with our babysitting rate calculator. When you’re just starting out, it’s OK to begin low, but don’t undervalue your services and experience. Business cards: Definitely have business cards printed, says Ellison. You never know where you’ll be where you meet someone who’s a parent, and passing along a business card with your name and phone number offers both professionalism and ease. Business cards can be printed affordably at sites such as VistaPrint, or you can DIY if you’re confident in your design abilities. Reference page: “I recommend having a sheet to hand people with three to five references with a little paragraph endorsement quote from each one,” says Malson. “Contact your references ahead of time, ask them permission to include a quote from them, let them know who might be calling and what position you’re seeking with them. Make sure it’s a relevant and appropriate reference. Five quality references will go a really long way.” Your references could be previous babysitting employers, teachers, coaches or other people who have positive reputations and who can speak to your responsibility, quality of work and work ethic. Personal safety: Consider meeting a potential employer in a public place, such as a cafe. If you know them, you can meet in their home to get a lay of the land, but bring along a parent if you’re a minor. Professionalism: Take this as seriously as any job interview. “Be early, dress appropriately and show manners,” says Ellison. Asking questions: Ask all the questions you have, including the parents’ expectations, hours the family will need you to work, household rules, additional responsibilities like cleanup and pet care, and whether or not the children have any allergies. Child’s play: Engage with the child or children during the interview, so the parents can observe your interaction. Prepare for babysitting gigs by prepping a notebook page or single sheet that includes the parents contact information, emergency numbers, your responsibilities, house rules, kids’ allergies or special needs and the address, says Malson. That way, you have all the info you may need to refer to while you’re on the job. Brainstorm in advance some age-appropriate activities, and pack the supplies for them in a kit. Throw in a children’s book, perhaps one you loved when you were their age, suggests Ellison. You might also want to plan a few icebreaker activities, so you and the kids can get to know each other a little more quickly. Make it fun! After all, kids will tell their parents all about your time with them. Being a good babysitter will motivate the parents to continue to call you and perhaps recommend your services to friends. In that case, you’ll spend less time hunting for jobs and more time actually babysitting. Once you’re a little older and more experienced, you can branch out into the community. If you’re a minor, you should still work with and communicate through your parents, and always exercise caution before accepting texts or calls from strangers and entering anyone’s home. Local social networks. Does your neighborhood have a community Facebook or Nextdoor page? You might be able to post information about your business there, or keep a lookout for posts from parents looking for a sitter. Online babysitter listings. You may also peruse online job listings on care-finder websites, like Care.com, You can create a profile that says when you’re available and contains information about yourself and your qualifications. 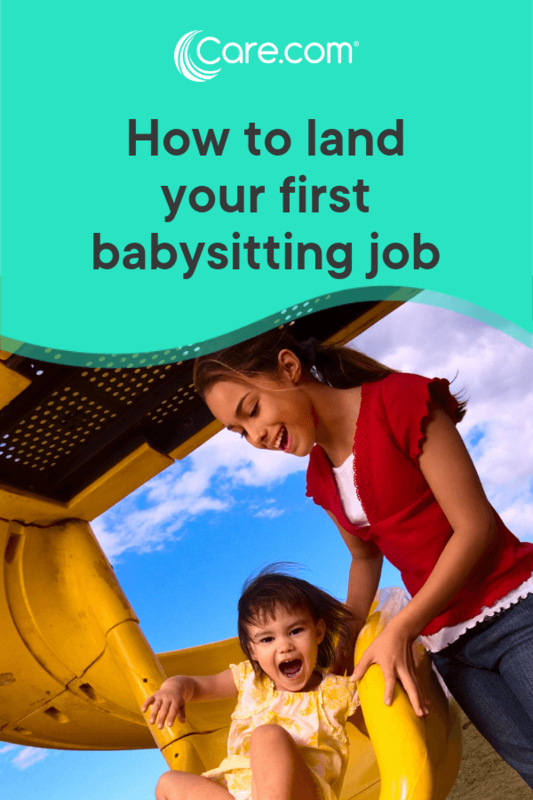 If you love kids, you’ll probably love every step of learning how to be a babysitter and gaining the experience that can get you jobs. And, as you work your way up, you can start to earn some pretty good pay. "At the end of 2018, we're seeing the average hourly rate for babysitter job posts reach $15.83 per hour," says Jacquelyn Booth, director of analytics at Care.com. Best wishes as you begin your babysitting journey! This was very helpful, but I am a little younger so I can't work on care.com yet. What else should I do because I don't have any younger siblings? Hi, I'm going to be moving to Washington in about a month and going to be living there with my grandparents, my parents are gonna stay where they are and they're letting me do this. I will be in a different state from my parents, will I still be able to babysit for people down in Washington? I'm 16 right now and turning 17 August 3rd. Hi, I am looking for a babysitting job can you please give me directions to make an account?